How Can I Protect My Australian Trademark Overseas? It’s not uncommon for most people to find the legal side of their business overwhelming and want to put off dealing with matters of legal protection. The areas of intellectual property such as trademarks, copyright and patents are not subjects that most business operators usually have much experience in. Many are often in doubt to whether they even need to register a trademark for their business name or logo. However, as a business owner, it’s important to protect your brand and intellectual property from any possible infringements. Trademark registration gives you that ability to exclusively protect your distinct business names, logos, product names, slogans and other distinguishing brand aspects for your business. With the Internet now making it more accessible to do business internationally, many business owners are taking full advantage of the global market, which in turn brings the question of international trademark protection into focus. Whether you’re trading online or looking at selling in various other countries, you may be wondering if your Australian registered trademark will protect you internationally. IS MY AUSTRALIAN TRADEMARK PROTECTED OVERSEAS? While your registered trademark offers you full protection in Australia, it doesn’t extend to the rest of the international market. The fact that you have an Australian registered trademark doesn’t afford you the same protection and rights in other countries, meaning it won’t stop someone else using that same mark in Japan, China or any other country. If you promote your brand in other countries, you should consider registering a trademark in those jurisdictions. Filing your trademark application in Australia first, will give you a couple of benefits when it comes to registering overseas, but based on your Australian registration alone, you do not have any rights or protection on a global scale. It may seem logical to attempt to protect your trademark in every country, but we don’t advise that at all. We recommend you only consider registering your trademark in the countries that you actually want to promote or trade in. Understanding your markets and where the bulk of your international customers are or potentially could come from, will serve you very well when considering this option. As with Australia, most countries assume that by filing your trademark application you intend to use that mark in that particular country. Most countries also have a similar kind of removal or cancellation system in place to that in Australia, should you register a trademark and then not go onto to use it in that particular country. Some countries (for example the USA) will require that you prove use is occurring in order to maintain the registration at certain intervals. You just want to protect yourself in countries where you intend to operate and sell your products and services. No trademark professional should ever advise you to register your trademark in a country just as a means to block other people from using the same mark; the professional objective should be focused on ensuring you have the rights to use your trademark in the countries you promote in and therefore, enforce the rights associated with your trademark protection. With it being so easy for people to sell on the internet now, the global market is increasingly smaller and we often have concerned traders here in Australia come to us worried about notifications they’re received from International traders using the same mark. If you are selling your goods and services in another country, over the internet for example, and somebody with the same or similar registered mark from that country sends you a letter of complaint, there are some guidelines in place to lessen your liability for inadvertently infringing on their intellectual property in the country they hold the registration. The World Intellectual Property Organisation (WIPO) established the guidelines, which are a little lengthy and complicated but recognise that use of a trademark on the Internet effectively places business owners in a global market place. Assuming the above is true, once an international rights holder properly communicates with you – assuming you take appropriate steps, quickly, to rectify the use or possible infringement in that other country (e.g. updating websites to show you do not deliver to that country or including disclaimers that you are not affiliated with the brand holder in that country etc) the person alleging the infringement will be limited in damages they can collect. Should you ignore those claims and continue use after being notified, their damages claim might have substance. Generally, speaking though if you have acted in good faith, and continue to do so on being notified of a right held in another country, in most cases where you have accidently infringed on someone else’s intellectual property in another country via selling online, there won’t be any legal ramifications. For these Guidelines to offer some protection it is paramount that you hold a registered right in one of the countries member to the Treaty. Trading online without registration at least in Australia will not allow you the benefit of these guidelines to limit liability. While registration of your trademark in Australia does not afford you international rights, there is what’s known as International Trademark Registration, which is governed by WIPO. As long as you meet the criteria to file an international registration, we can file a single application with WIPO based on your Australian registered trademark. Once you’re in that system, it’s an international registration under what is known as the Madrid Protocol. The Madrid Protocol has a membership of around 95 countries and allows trademark holders in member countries to file single applications (based on the existing trademark in the member country) and simply nominate which of the other member countries are needed. Under the guidance of your Australian trademark professional, you can choose which countries you wish to be protected under and file a single application with WIPO who acts as a the ‘head office’ of all applications registered for the various countries. Each nominated country will then conduct its own examination and return the results via the World Intellectual Property Office. 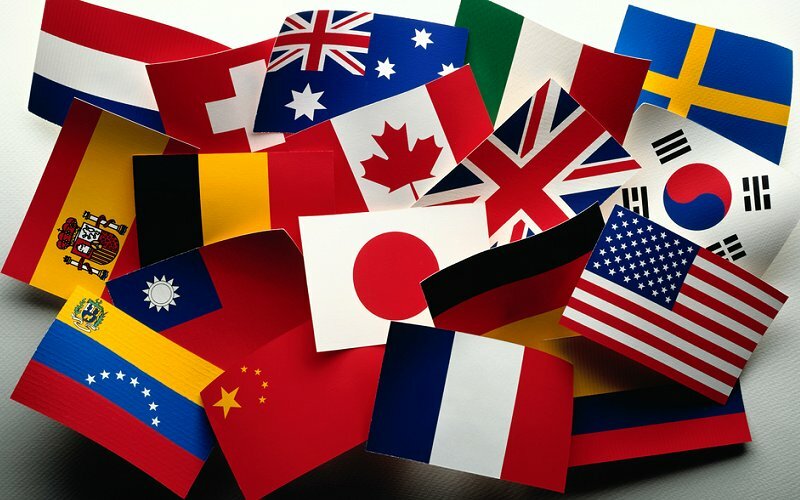 As long as you have the intent to use your trademark in each nominated country, this system will provide you the same level of protection within each country (assuming the particular country confirms the mark is acceptable and protected in that country) as a national trademark and will save you a lot of time and money filing under this single filing system – compared to having to hire a lawyer in each individual chosen country. It’s worth noting that regardless of your international reach, it’s often more beneficial to register in your own country first. The first time you file your application for protecting your goods and services, that filing date is known as your ‘priority date’. If you then file an application in other countries for the same trademark, and for the same or fewer goods and services within a six-month period of that first priority day the priority date may be claimed. This means you can actually claim that date for the international offices to treat those applications as if they were filed at the same time as your Australian lodgement, even though physically they are filed up to 6 months later. This will give you a safety window of opportunity where you can assess your markets, figure out your budget and any other business related matters, before deciding whether or not to apply for trademark registration in other countries. If you do decide to go ahead with international trademark registration within those 6 months, you won’t be putting any of your rights in danger, as your international application is effectively back dated to your original Australian file date. HOW MUCH DOES AN INTERNATIONAL TRADEMARK COST? Whether you apply via the Madrid Protocol or through each individual country’s trademark office. The majority of countries following the same system as we follow Australia, where they charge a fee based on the classes of your goods and services (this is based on the NICE classification system, administered by WIPO). Other factors that would impact the cost of registering a trademark in another country would be matters such as, whether there was a need to hire a solicitor or a trademarks attorney in that particular country to help overcome objections and how you file your application. If you were looking at a single class, depending on which country you nominate, the prices can vary enormously – ranging from less expensive locations such as, New Zealand for around $100 in official fees, right up to $10, 000 for some areas of the Middle East to include official and local professional fees. International trademark registration can be quite complex and expensive depending on the options you choose. However, the process can be less complicated and less costly if you get the assistance of a trademark professional, who has experience in international trademark registration. Getting the assistance of an expert means being able to take advantage of their years of industry experience to help you prepare the correct trademark for your needs, and to avoid any of the many mistakes that people often make with their applications. At Quick Off The Mark we are highly qualified and experienced in all areas of trademark registration, including international trademark protection. We able to manage the entire process from start to finish – leaving you to get on with what you do best – running your business. Contact us today for further information on international trademark registration. Quick Off the Mark® is a division of Mark My Words Trademark Services Pty Ltd (MMW). MMW was founded in 2011 and is headed by Jacqui Pryor, a registered trade marks attorney with more than 16 years experience. In 2015 MMW acquired Quick Off the Mark®, which is a fast and affordable Australian trademark registration service. Quick Off the Mark® offers fixed fees that are affordable to help Australian businesses register their trademarks. Disclaimer – The advice provided in this blog is general advice only. It has been prepared without taking into account your business objectives, legal situation or needs. Before acting on this advice you should consider the appropriateness of the advice, having regard to your own objectives, legal situation and needs.